A big led display is comprised of several parts and a lot of accessories. Today we will share what parts the client should prepare when planning to build a led display. LED display and control system are essential to build a big display. Control system including programming software, sending card, receiving card. A high configuration PC is a necessity if synchronous control system. The user uses this PC to send programs. In some cases, user needs to prepare more than 1pc control PC, too. Multi function card is very useful; it can adjust brightness automatically according to usage environment, so it helps to save energy. Multi function card could detect temperature and humidity, too. With video processor, the led display could accept a lot of signal input from camera, DVD, VCR, TV, etc. Lighting rod’s main function is to avoid lighting stroke, indoor led display don’t need it. Air conditioner could help to decrease inner temperature of outdoor led display, as a result, it could extend led’s service life. PDU could provide stable voltage and current for led display, protect electronic components from damage. A good supporting structure is very important for led display. 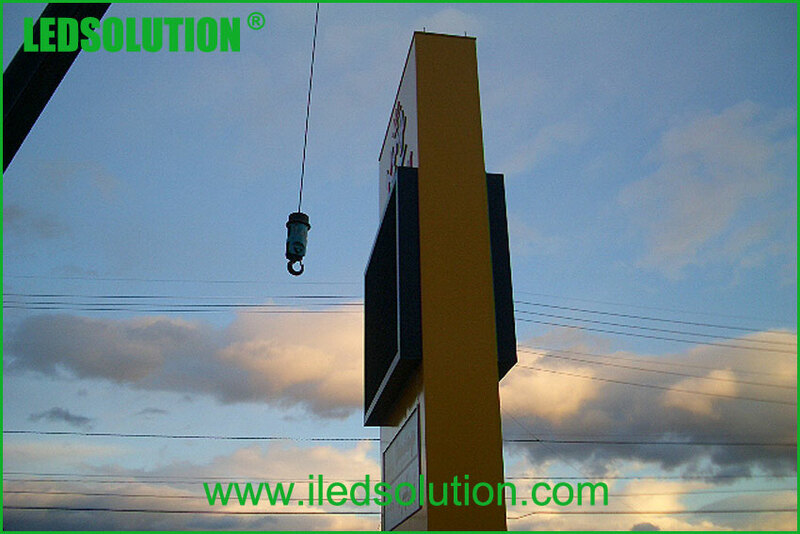 LEDSOLUTION could design and produce supporting structure for our client. The client could find a local subcontractor to build structure; too, we will provide structure drawing or give installation suggestion for free. If you are considering building a led display, please don’t hesitate to contact us for a formal proposal. Contact LEDSOLUTION sales team to get price for your led display now!